Guess what we do at Pick My Toaster dot com… We review toaster ovens and pick the best ones to tell you about. Ok, jokes aside, we are actually super serious about toasters. I use to work at a sandwich joint and made paninis all day. It was heaven. I learned a thing or two about toasting bread and how to pick my toaster. Let me share a few bits of my knowledge with you. Lets start with some basics. This will be super boring but we gotta get through it. A toaster has the ability to defrost and heat up the many different types of foods that can go with a toaster such as bread or bagels. They were originally made in Scotland in 1983 for the purpose of making toast hence the name toaster. As toasters began to improve and advance more features were able to be added. One such feature that is now a standard for a toaster is a timer so you can determine how long you want to toast your bread; a dial to see how well toasted your food is to decide how dark or light you want your toast to be. Some toasters have smart features that enable features such as automatic lifts or the ability to keep food warm in the toaster. They are a staple in almost every households and you’ll seldom find one without one. The most common type of toaster found in most households. These are the easiest and most basic to use. 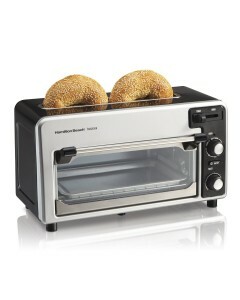 They are mainly used for toasting breads and bagels or other kinds of foods that can fit in the slots. They are typically made vertically to easily insert food and once the food is done toasting it pops up and makes a loud noise to indicate that your food is ready. You simply place bread or any other food that can fit in the toaster’s slots and press down on the lever. length of toasting is normally determined by a shade dial which is meant for toast to determine how light or dark you want your toast to be. Each point on a dial represents an unknown number of seconds as it varies from toaster to toaster. Heating is done by filaments placed on both sides of the toaster that heat up to a certain degree and uses convection cooking to toast foods. These toasters are larger then a regular pop up toaster and essentially function as a small oven. They are designed after an oven and have a small front door, wire racks and a baking pan. They take around 4 to 6 minutes to toast compared to the 2 to 3 minutes of a pop up toaster. Toaster ovens come in many different sizes and have a variety of features. Toaster ovens use a horizontal electrical filaments instead of the vertical ones that are used in a pop-up toaster. It also has a reheating function which allows the toast to be reheated without burning it. Toaster ovens usually have a glass door that can be opened to pull out the detachable tray. They were first created in 1909 but were limited in that only one side could be cooked and you had to watch the toaster oven to ensure that it didn’t burn your toast. Since the early days the toaster oven has become a staple in the kitchen with many companies making toaster ovens such as Breville or Kenmore. These toasters are typically found in the catering or restaurant industry and are used for massive productions of bread. Conveyors can toast 350-900 slices of bread in an hour making these the perfect type of toasters for businesses. It accomplishes this by letting you continually toast by using a conveyor belt hence the name. The first conveyor toaster was made as early as 1938 with them usually going for as low as $300 to over $2000. There are cases of people using a conveyor toaster for their homes, but the average person will probably never have a need for a conveyor toaster, and as such we won’t be reviewing such toasters on pickmytoaster (not right now anyway). What kind of toaster to buy depends on what your needs are. If you need to cook larger foods in a fast manner with the strength of a full size oven then a toaster Oven is perfect for you as they are specifically made for that task. If you mainly want a toaster that is specifically made to toast bread and bagels then any standard pop-up toaster works however they come with their own advantages and negatives depending on the brand and toaster. I recommend you buy both a pop up toaster and a toaster oven. The pop up toaster is just a staple for everyone’s house (here’s a great and cheap one right here). And the toaster oven has a million different uses.